Is You Know Who Still Alive in Star Wars 8? Star Wars: The Force Awakens has been breaking box office records left and right, with a global haul of $1.7 billion so far. The iconic movie will set up a new trilogy, with Star Wars: Episode VIII starting production later this month with a May 26, 2017 release date. Star Wars: The Force Awakens featured the death of an iconic character in the franchise, but according to a new report from MovieCastingCall.org, this character may return. There will be spoilers below if you haven't seen Star Wars: The Force Awakens yet, so read on at your own risk. This casting call revealed that casting is under way for new male and female characters, and while no details are revealed about these characters, the casting call does reveal that Harrison Ford will return as Han Solo. This iconic character was killed by his son Kylo Ren (Adam Driver) in Star Wars: The Force Awakens, but this report claims that he will come back alongside Carrie Fisher as Leia, Daisy Ridley as Rey, John Boyega as Finn, Oscar Isaac as Poe Dameron, Gwendoline Christie as Captain Phasma. The report doesn't mention if Adam Driver is returning as Kylo Ren. If this report is true, it isn't known how this iconic character could come back. Han Solo was killed by his son Kylo Ren, who stabbed him with his lightsaber causing him to fall into a massive abyss. It seems highly unlikely that he would actually survive both the lightsaber stabbing and the fall into the seemingly bottomless abyss, so it's possible that this casting report could be erroneous. After all, Harrison Ford had often talked about how he wanted his character to be killed off in Star Wars: Episode VI - Return of the Jedi. Star Wars: The Force Awakens has now earned $1.56 billion, which is the fourth-highest global gross ever, behind Jurassic World ($1.669 billion), Titanic ($2.186 billion) and Avatar ($2.788 billion). This global haul is even more impressive since director J.J. Abrams' adventure hasn't even opened in one of the world's largest markets yet, China, where it is set to debut on January 9. Another reason the numbers are so impressive is its theatrical rollout is nowhere near the biggest in history. The Twilight Saga: Eclipse still hold the record for the widest release ever, debuting in 4,468 theaters back in 2010. Star Wars: The Force Awakens has the 33rd widest opening ever, debuting in 4,134 theaters, a theater count lower than other 2015 blockbusters such as The Hunger Games: Mockingjay Part 2 (4,175) and Minions (4,301). With the impending release in China, it could be only a matter of time before Star Wars: The Force Awakens becomes the third movie ever to break $2 billion at the worldwide box office, a feat only accomplished by James Cameron's blockbusters Titanic ($2.1 billion) and Avatar ($2.7 billion). 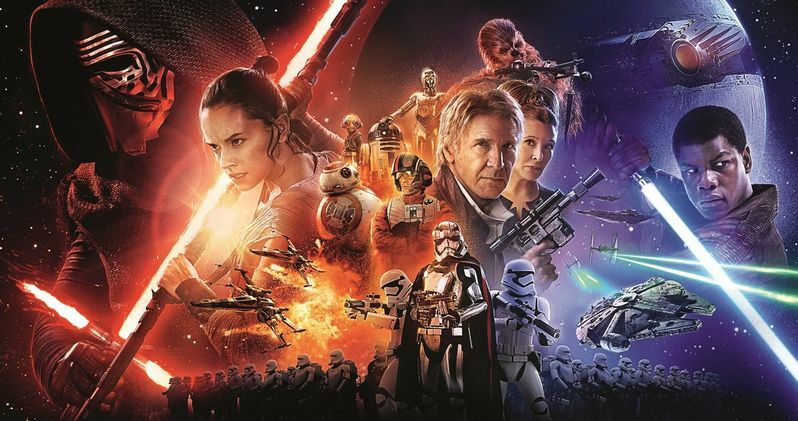 It's possible that Star Wars: The Force Awakens will be the first movie ever to crack $3 billion worldwide. If that happens, this one movie would represent 3/4 of Disney's $4 billion investment when it bought LucasFilm in 2012, with two more sequels and three spinoffs coming in the next four years. Do you think Han Solo could be coming back in Star Wars: Episode VIII?